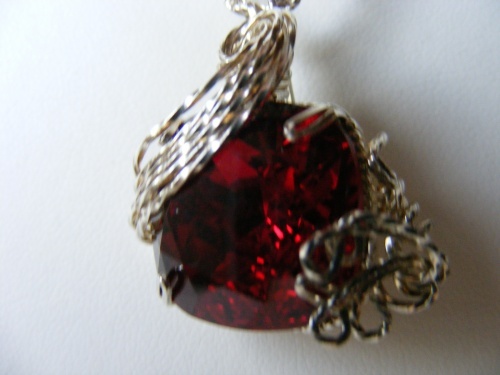 Gorgeous pomegranite red Vintage Swarovski crystal hand sculpted and dripping in sterling silver curls. So deep and rich in color this piece is truly one of a kind. COmes with a rope chain.